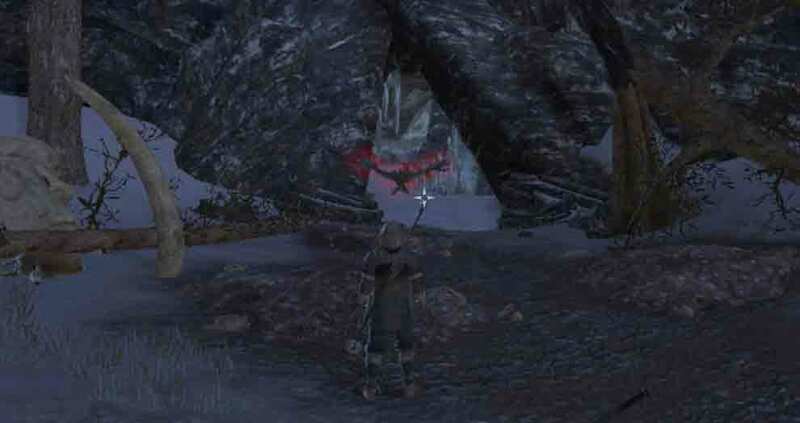 I’ve encountered a wounded hunter in the wilds near Bleakrock Village. Hoknir is seriously wounded. He wants some help killing his prey. I should be able to find the lair of Deathclaw by following the trail of things he dropped. Once I do, the beast might come out for some food.